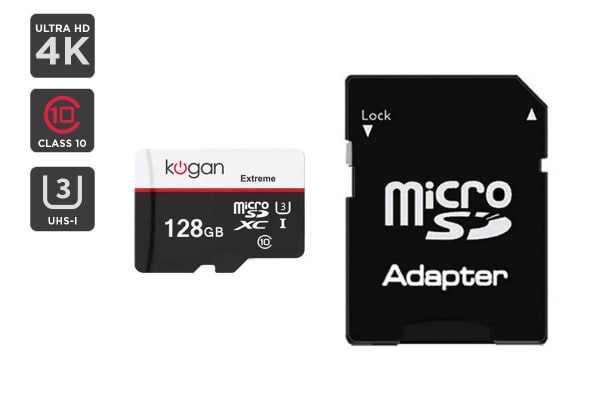 Capture and store high-quality photos and videos with this impressive 128GB micro SD card. UHS Speed Class 3 speed rating for rapid capture and transfer – up to 85MB/s! 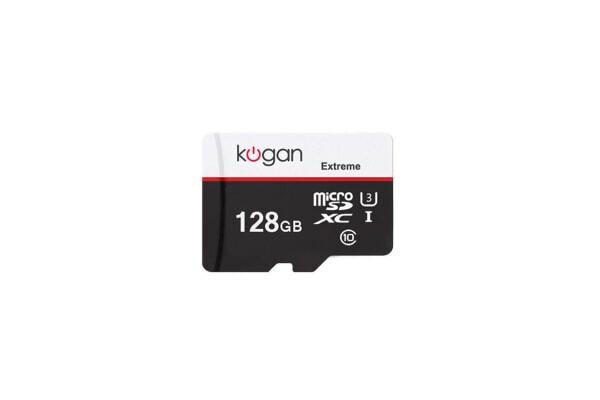 With Kogan’s high-speed, high-capacity performance Extreme 128GB Micro SD card, you’ll enjoy transfer speeds up to eight times faster than ordinary memory cards and super fast read and write speeds of up to 90MB/s and 45MB/s respectively. With a massive memory of 128GB, you’ll have more than enough memory for up to 6 hours of 4K UHD video, 16.5 hours of Full HD video or 27,600 photos, so you can truly capture every precious moment!